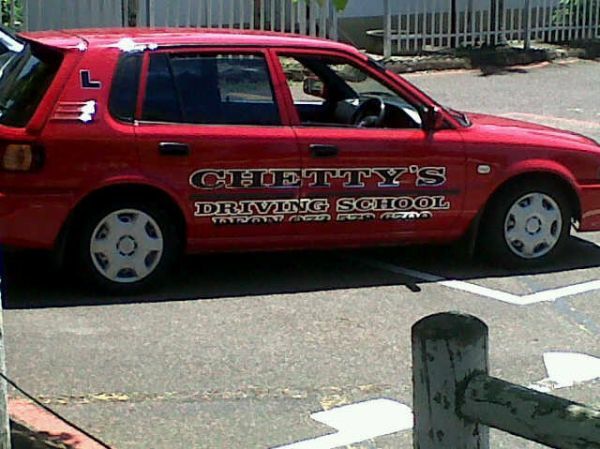 ALLOW CHETTYS DRIVING SCHOOL TO ASSIST YOU IN BECOMING A CONFIDENT K53 DRIVER YOU NEED TO BE!! WE OFFER A FULL HOUSE SERVICE WHICH INCLUDES LEARNERS LICENCE TUITION, DRIVING LESSONS AND DRIVERS TESTS WITH A CERTIFIED AND EXPERIENCED INSTRUCTORS. LEARNERS LICENCE AND DRIVERS LICENCE PACKAGES FOR CODE 08 & CODE 10 AVAILABLE contact for prices.